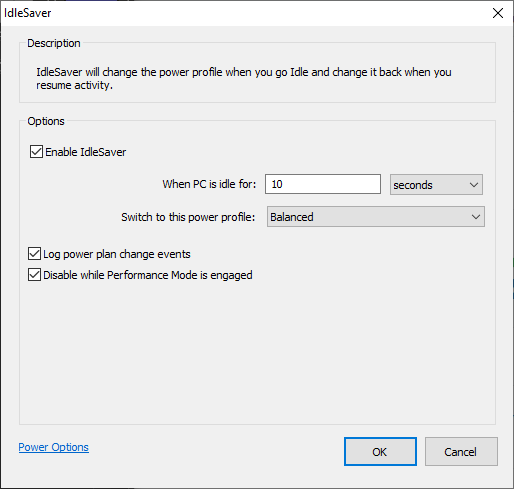 With IdleSaver, you can have top PC performance without sacrificing power savings. This is done by letting you choose an aggressive/performance power plan while you are active on the PC, then a more conservative one when you go Idle. For instance, a user doesn’t have to use the Balanced power plan all the time, they can instead use the Bitsum High Performance plan when the server is in use, since it’ll automatically be changed by IdleSaver when they walk away from the PC. In the end, more control allows a greater degree of fine-tuning server power consumption and performance.